In July 1688, Morgan took his first crack at the Spanish in Panama who were using Portobelo to offload the silver they were mining in the south. It was one of the wealthiest cities in the new world. 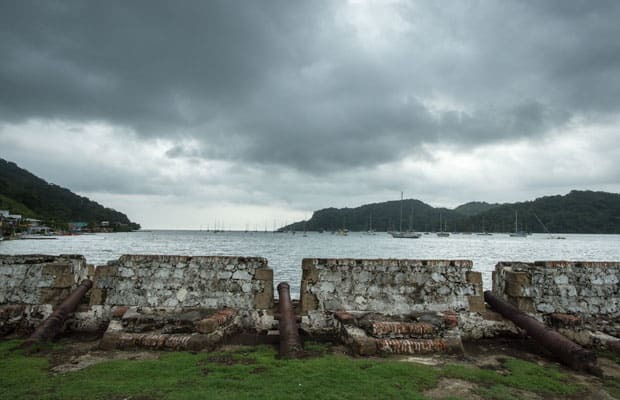 Protected by two forts on either side of the harbor, Portobelo was thought to be impenetrable. Though some had attacked before, none had succeeded. Morgan attacked by night and took the Spanish by surprise. By dawn, he was Portobelo's new HPIC (Head Pirate in Charge). He threatened to level the city if the Spanish didn't pay up. They coughed up 350,000 pesos ($18 million by today's standards). After fleecing Portobelo for all it was worth, Morgan departed Panama to organize his next attack against the Spanish in Cartegena, Colombia.